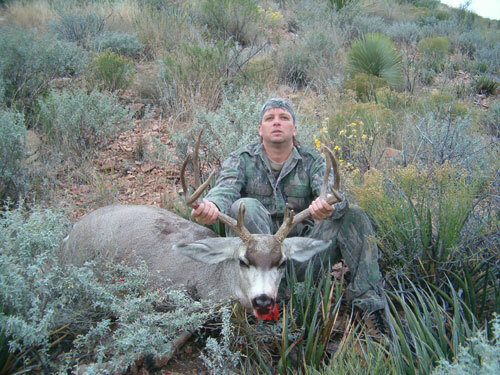 Killed on 12/04/04 in Brewster County, Texas. Remington 700 BDL .270 cal. 21 Inch outside spread with double brow tines on both sides.